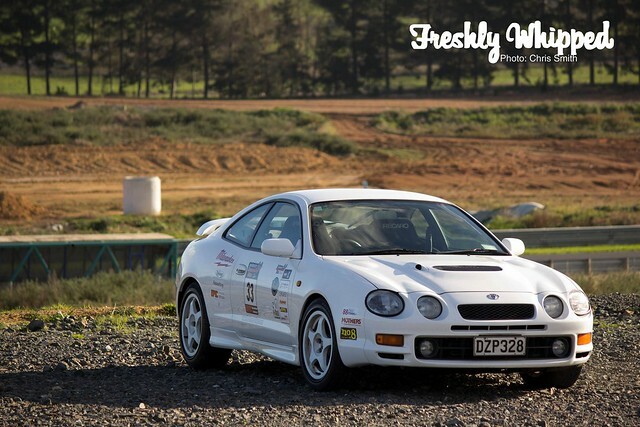 With Gymkhana becoming a growing sport in New Zealand, Auckland Motorsport held a gymkhana/track day at Hampton Downs. Hampton Downs is the new track on the block just at the start of the mighty Waikato. Built on a swamp it offers a track and skid pan with more sections being added gradually. Auckland Motorsport runs a Cannonball style run also, with drivers racing from one side of Auckland to another side of NZ. I arrived at Hampton Downs quite early. As I waited for the day to begin, this 135i arrived. 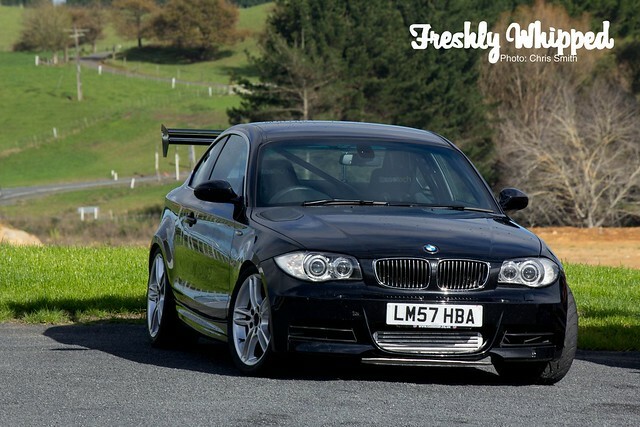 A giant spoiler on the back, roll cage and two Racetech seats shows this car means business. Even as a stock car these are crazy. Small car + big engine = lots of fun. I like seeing more matte black cars. With vinyl being a cheap way to ‘repaint’ the car, many see it as a god option to change colours and preserve the original paint. 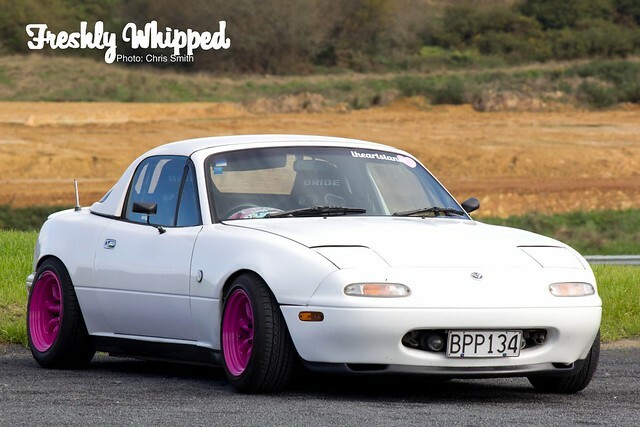 Taryn, the chick behind IHeartStance had her Miata there. Pink Watanabe’s and awesome stance basically shows what her blog’s about. I also love sticker bombing. Good job with the dash. Maybe chuck a FW sticker on it someday? I’m still waiting for the Verossa trend to kick off in NZ. It seems that only a few people have caught onto these cars. Under the hood they pack plenty of power. I edited this shot for the era. 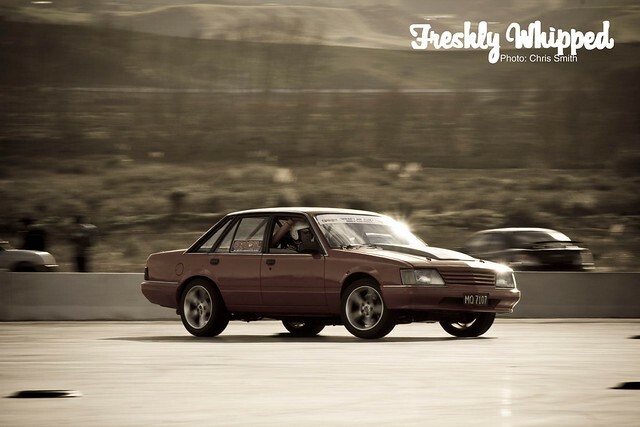 This VK Commodore was out on the skid pan giving it a good go whilst making the engine roar. You’d be surprised what cars went out on the track. 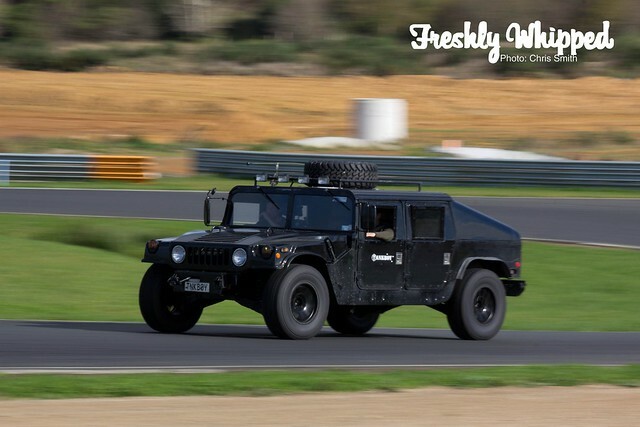 This H1 Hummer did a few laps to showcase Tankboy. Check those guys out! These Lotus 7 style cars were out going nuts. They have an amazing power to weight ratio that puts them with the likes of supercars. Our friend Cam was out in the Sheep Shagga Racing R32! I was told he later burst his radiator hose doing burnouts. Quite sad I missed that. 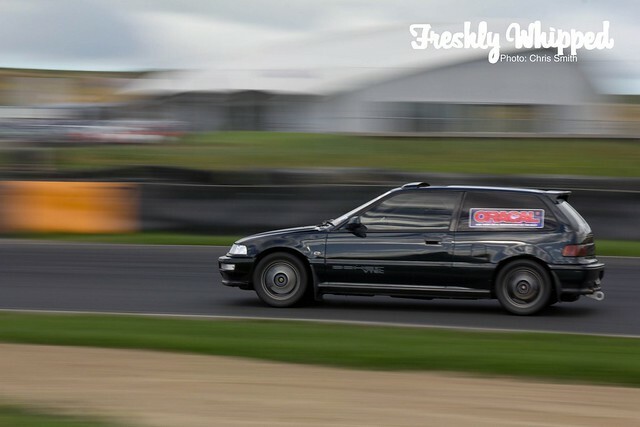 This Civic was out going well. 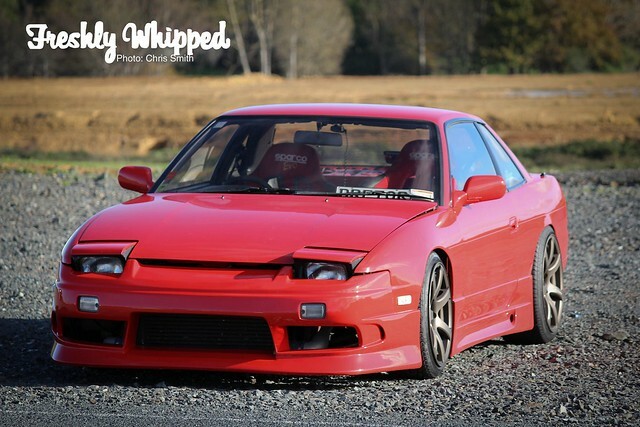 This car in particular is known for running some amazing 1/4 mile times. Look out for it at Meremere. Such a classic car. This Celica GT FOUR was looking great by itself. 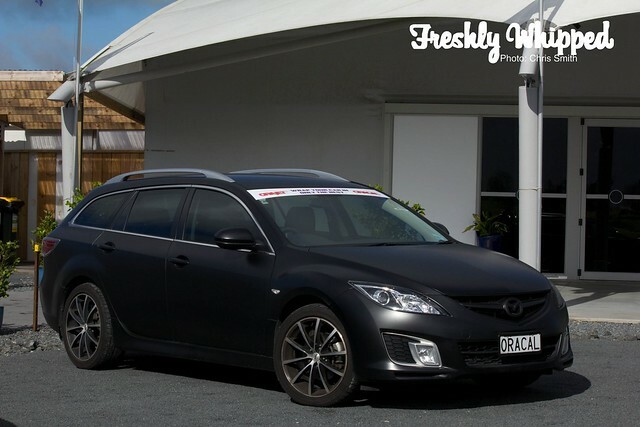 The car is quite rare in NZ, with many modifying standard ones to look like the GT FOUR model. Mazda 808 anyone? We have quite a culture for classic Mazda’s in NZ. We also have an amazing S-Chassis following in NZ. 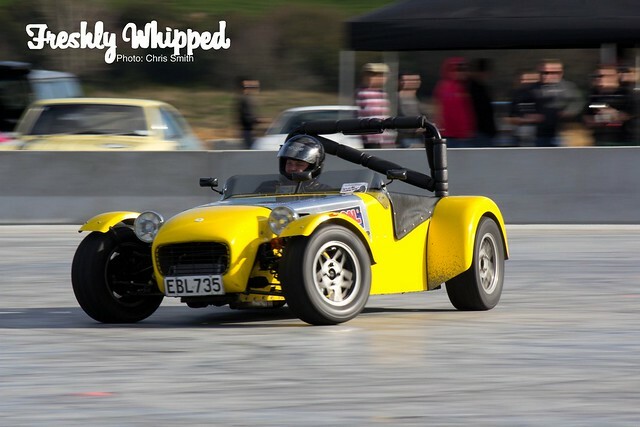 Look out for Auckland Motorsport’s track days and Cannonball style runs throughout the year! More photos on Facebook. Tag them!